Serious Eats has done it again. That is, convinced me to give up my Sunday in a quest to master their perfect "insert restaurant item of choice here." Last time, it was the fries. This time, gyros. I mean, I could've left well enough alone and stuck with the memory of perfect gyros sold at my favorite food cart in NYC but I pride myself on a certain amount of eccentric bravado that leads me to exclaim jauntily, "I can make this better at home," every time I eat something outside the walls of my super tiny apartment. It's this attitude that convinced me I could make naan at home and almost burn down my kitchen trying to create an indoor tandoor. Serious Eats is pretty much the work of a diabolical genius. They do crazy taste-test comparisons of various brands of American cheese (note: I LOVE American cheese). They have compared various brands of Japanese curry blocks (note: I also LOVE Japanese curry). And, they developed a way to make McDonald's french fries at home (note: you already know I LOVE french fries). So, in short, I love them. I wish they would hire me to, um, be their official taste tester? Coffee bringer? Dog walker? Cheerleader? I'm keepin' my fingers crossed. In the meantime, I'm taking on their crazy recipes, one Sunday at at time. The make-your-own-gyro was definitely a two day project. Saturday was spent gathering all the ingredients I didn't have. 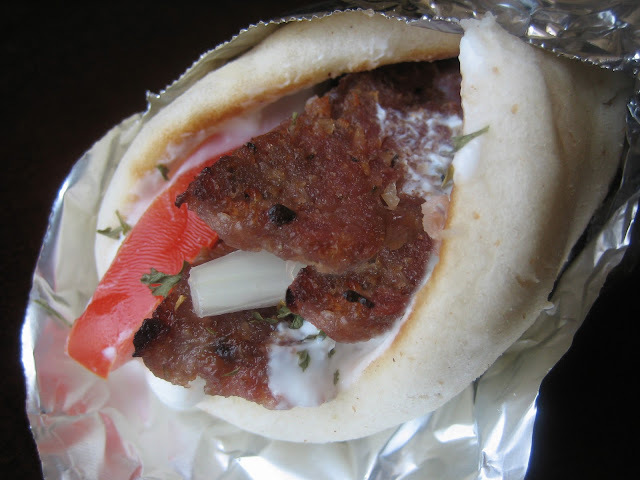 Ground lamb, bacon, gyro flat bread, and a creamy yogurt. I generally have single serving containers of Greek yogurt on hand but I gave my last one to the office receptionist as a peace offering after I mistook her husband for her father. Yup, that's how I roll, offering food every time I stick my foot in my mouth (which is often). The ground lamb, flat bread, and yogurt were easy. The bacon, not so much. When you're Muslim, your experience with bacon is severely limited. And by severely limited, I mean non-existent. So there I am, standing in front of the giant bacon display at my local grocery store. Keep in mind, I have never eaten, much less, purchased bacon before. I hesistantly reached for a pack of turkey bacon when the gentleman, a Santa Claus clone if there ever was one, standing next to me rumbles, "Oh darlin', you don't want that garbage! You want the real stuff," and he grabs the fattiest pack of pork bacon and throws it in my basket. I smiled, cringing at the bacon sitting primly on my loaf of sourdough, and explained that I didn't eat pork. "Hell, why didn't ya say so? This stuff's almost as good as the real deal," the giant boomed. I grinned at his unknowing hell reference as he proceeded to pluck the pork bacon out of my basket and replace it with beef bacon. I took his word for because he looked like he'd eaten a fair bit of bacon in his day. Heck, he'd probably eaten a fair bit of bacon today. Come Sunday, the hubster and I suspicously stared at the foreign package in the fridge. "You think we should try some?" he asked hesitatingly. "I guess," I answered, equally hesitatingly. So, we did what any two crazy, Muslim kids would do. We fried up a couple o' slices of beef bacon. Holy Batman, Muslims of the world, hear me. We have been missing out. This stuff is good. I can only imagine how good it'd be with a side of eggs, crunchy sourdough toast, and an espresso. Pretty darn good, I'm willing to bet. I can't say for certain because we ate all five pieces, sans forks, while standing by the stove. With bellies full of beef bacon, we began the gyro project. Like all Serious Eats recipes, this one was labor intensive. It seemed particularly so because I don't have a proper food processor. For years, I've been using the "food processor jug" that came with my crappy blender and it's been fine so I see no reason to invest in a real food processor. Needless to say, we had to process the meat mixture in thirty-six batches because the jug wasn't large enough to do it in one go. Before shaping the mixture into log form, I'd recommend frying up a small bit, tasting it, and adjusting the seasonings. As a result, we added more salt, garlic, and a bit of cayenne. I wish we could've taken some oregano out because the oregano flavor was a bit strong at the end. I also found it took about six minutes in the final broil phase to get those flavor-filled, charred edges we all know and love. I also wished the yogurt dressing was a little more garlicky or something. Even adding sriracha, generally my solution of choice, didn't really help. Suffice it to say, something was off but I was too tired to figure it out. At that point, I pretty much just wanted to eat (a lot). The best part about the recipe was discovering these pre-oiled gyro pitas. They aren't pre-oiled enough but I don't hold that against them because they are good! Throw some oil in your pan and heat them up for light, fluffy goodness. Overall though, something was lacking in this recipe. Hey Serious Eats, I'm sure I can figure out the missing piece if I continue experimenting while on your payroll. No? You sure? 1. Combine lamb, salt, pepper, and oregano in medium bowl. Mix with hands until homogeneous. Cover and refrigerate at least 1 hour or up to over night. Meanwhile, place yogurt in fine-mesh strainer set over small bowl. Allow to drain in refrigerator for 1 hour. Adjust oven rack to middle position and preheat oven to 300°F. Place cold mixture in bowl of food processor with onion, garlic, and bacon. Process until smooth puree is formed, scraping down sides with rubber spatula as necessary. 2. Line rimmed baking sheet with aluminum foil. 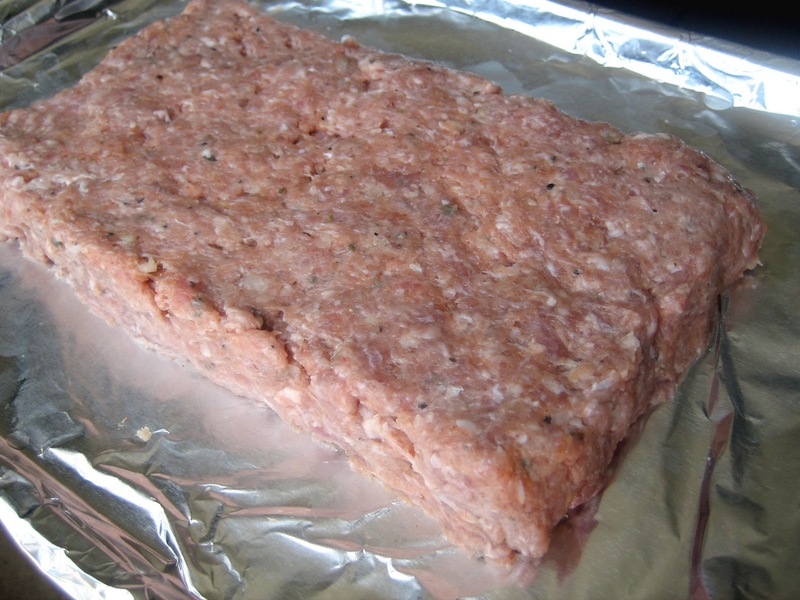 With moist hands, form meat mixture into rectangle about 1 1/2 inches high, 8-inches long, and 5-inches wide. Bake until center of loaf reads 155°F on an instant read thermometer, about 30 minutes. Allow loaf to rest at room temperature for fifteen minutes. 3. Meanwhile, make sauce. Combine strained yogurt, mayonnaise, garlic, lemon juice, and parsley and stir to combine. Season to taste with salt. Refrigerate, covered, until ready to use. 4. Adjust broiler rack to highest position (about 1 1/2 to 2 inches from broiler element) and preheat broiler. Slice loaf crosswise into 1/8th to 1/4-inch strips (each strip should be about 5-inches long and 1 1/2 inches wide). Lay strips on rimmed baking sheet lined with aluminum foil and broil until edges are brown and crispy, about 6 minutes. 5. Heat bread on oiled pan until lightly browned and slightly crisp, then flip and repeat. 6. Spread 1/4 cup of sauce over each piece of bread. 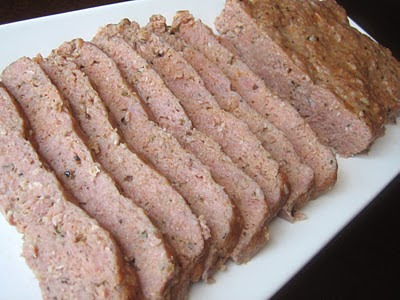 Divide meat evenly between sandwiches. Top as desired, wrap with foil, and serve. It's so annoying when you invest so much time into trying out something new, only to end up being let down with the results. If it's any consolation it looks really yummy, plus you got to try out beef bacon! I also don't eat pork... must see if they do beef bacon in my part of the world. If I get a hold of some I will opt for eating it over the stove fork-less. Sounds way tastier! I just love reading your writing...you make me smile! I am a vegetarian, so we don't eat meat at all, but I do find myself craving bacon and eggs every couple of weeks. I have never had gyros before, but those pictures make me want to jump on the gyro train ASAP. I just found your blog and love it...I need a gyro ASAP! "Holy Batman, Muslims of the world..."
Awesome job with these gyros, they look mouthwatering!!! :) And Ioved reading this post, it made me laugh out loud (esp the part where you offer food for foot-in-mouth mistakes). I also am thrilled for you that you discovered beef bacon! Isnt it wonderful?! Oh, I laughed so hard at the bacon fiasco. In looking through your recipe, I would say that what's missing is the normal Greek sauce for this dish, Tzatziki sauce. It includes cucumber and mint. That's probably what was missing. 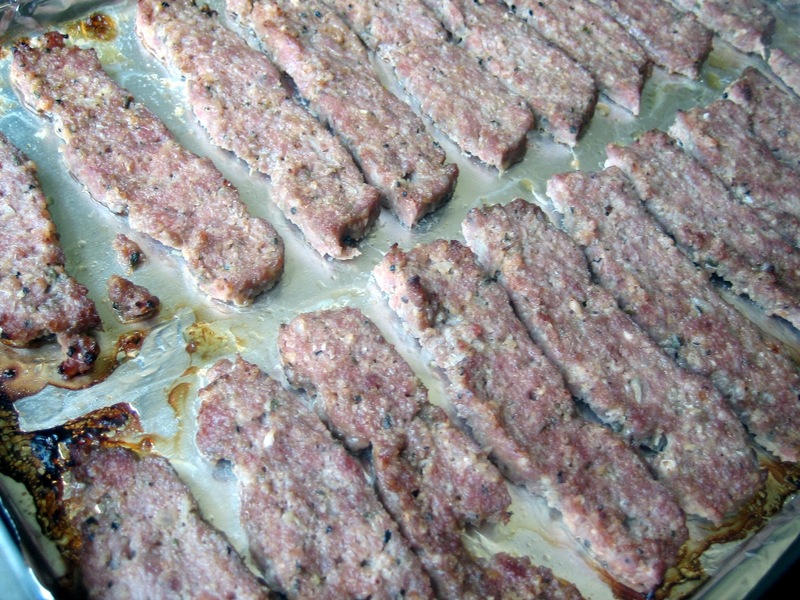 I just found out about lamb bacon yesterday...the local lamb farmer is having 2 three pound lamb bellies aside for me...I have to cure it and smoke it, and then I may use it to make myself a Gyro Club using your recipe here -- it looks great! haha this post cracked me up! Okay, if you were hired to be a cheerleader, don't forget to let me know! It seemed to me you love everything, ain't you!? hehe that's okay. I also had that moment that I could make this and that when I dined out :) These gyros look so good and the sauce..hmm..yum! 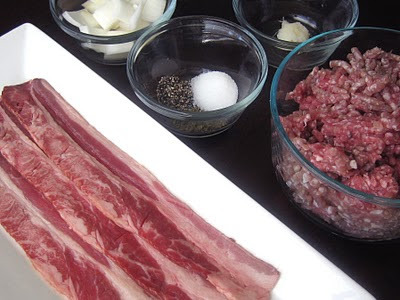 Love the idea of making your own gyro meat! In my opinion the ones in Greece are the best! Maybe I am biased, but they are small and flavorful! 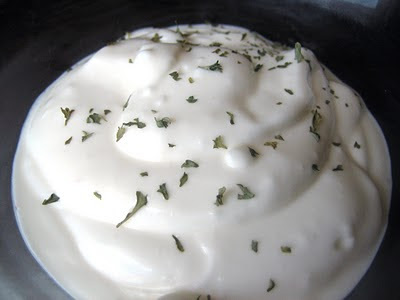 I find the yogurt sauce recipe interesting since tzaziki is usually the sauce of choice, but who knows. Important to know that the grease from the dripping gyro makes the restaurant pitas taste better. When I make mine, or any souvlaki for that matter, I put meat, tomato, onion, parsley, tzaziki, red wine vinegar, sometimes french fries, sometimes feta. The french fries are an added bonus that I have only seen included in Greece. Am definitely going to try the meat from this though since the premade Gyro wheel scares me! :) You are on fire btw! Keep up the fabulous posts! Great recipe! Looks amazingly delicious for any day of the week. I love watching the deflowering of another bacon virgin ROFL Welcome to the club!! Isn't bacon the best thing since the wheel??! Seriously. One last thing - we seem to be using the same frozen breads, first the paratha now this! Have you tried the Kontos hand stretched Kulcha Naan? You should! Gyro's are one of my favorite foods. Never thought about making them at home. Thank you for the inspiration! As far as I'm concerned, every Sunday should be Gyro Sunday! Gyros are one of the greatest and most delicious foods on earth. I was just in NYC this past weekend and ate my fair share of gyros. I'm glad you posted this recipe because a gyro craving will definitely be coming up soon. I know what you mean about bacon, even though it's turkey or beef, being Muslim you feel sort of weird about it, hahaha. Though, I'm not really a fan, but I'm sure it adds the right smokiness to the gyro. I had never eaten bacon until i was about 21. OMG what a revelation!! And..i didn't even KNOW there was beef bacon! Next time you need a food processor, let me know. I just got a big fatty one!The gyros look great! ur blog is amazing btw!!! omg i totally forgot about Gyros!!! damn, whoever thought of yogurt sauce with meat and then rolled up in a thick bread was GENIUS!!! Nice job tackling this one!! Now I'm craving gyros! Not sure I have the patience to make them though, and I know my mini food processor won't cut it. found you on foodbuzz and am enjoying your blog... got a good laugh with your Holy Batman remark and as a lifelong bacon lover, i must point out that the ONLY way to eat bacon is with your fingers!! Oh wow this looks so yummy! I've never heard of gyros before! Never tasted beef bacon either, can't say Ive ever seen them around here, only chicken bacon lol. I'm glad you discovered them coz if they taste as good as bacon bacon, then that's heaven i tell u! Val- I believe the quest for bacon would be a noble and delicious one! Lindsay- Thanks for stopping by! I hope you manage to find a gyro soon! Lequan- There are tons of things I haven't tried yet so I'm sure we all live under rocks to some extent. I was trying think of gyros in Canada and I think I've had some in Toronto. Mom Chef- You're right, maybe it was the missing Tzatziki! Island- Oooh, lamb bacon! I can't wait to read about your curing process! Kat- I'm sure you're a gyro expert. In fact, I'm envious at your gyro expert'ness (or expertise, but really, expert'ness). We must make some when I visit! Belinda- Definitely perfect for any day! Lisa- You should definitely try making 'em at home. It's quite the experience! Cookie- Yay! I love having a foodie neighbor. We need to get together soon! Big Boys- You should! Maybe you can figure out what was lacking and report back! Le- I've never seen chicken bacon but if it's as good as the beef, I'm in! Elina- Yay! I was hoping for an authentically NY looking gryo! I love reading your posts :) I was raised Muslim and remember my mom buying beef bacon and loving it. I know eat the "other " kind and to be honest I much prefer the beef and turkey bacon. I agree with you on the gyros in NYC - out of this world ! This was a great post! The gyros looks terrific and I'm so glad you gave it a try. Excuse my incredible density, but what's pre-oiled Gyros? And uh, what's Japanese curry? What's lamb for that matter? Whatever it is, your thing looks damn tasty, girl. P.S. I love French fries too! I'm currently undecided about who makes the best ones, though. P.P.S. I was kidding about the lamb...not about the japanese curry though. 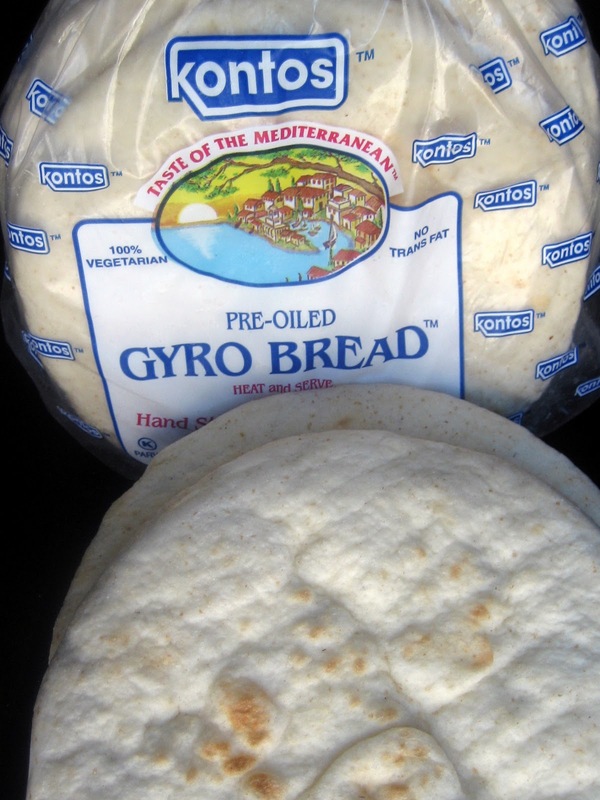 Or the pre-oiled Gyros. LOL Sirachaha is my general go-to fixer too! I just found your blog and I freaking love it! Bravo for going all out on this recipe! How does one not just LOVE Gyros! Such a treat!